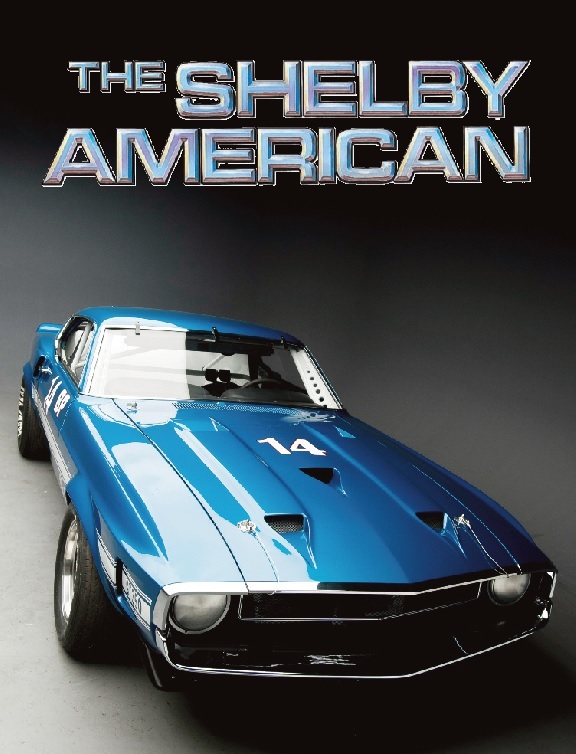 SAAC has been continuously publishing its award-winning magazine, The Shelby American, since 1976. Each issue is packed with historical articles, current event reports, interviews, details, specifications and hundreds of photographs not found in any other publication. 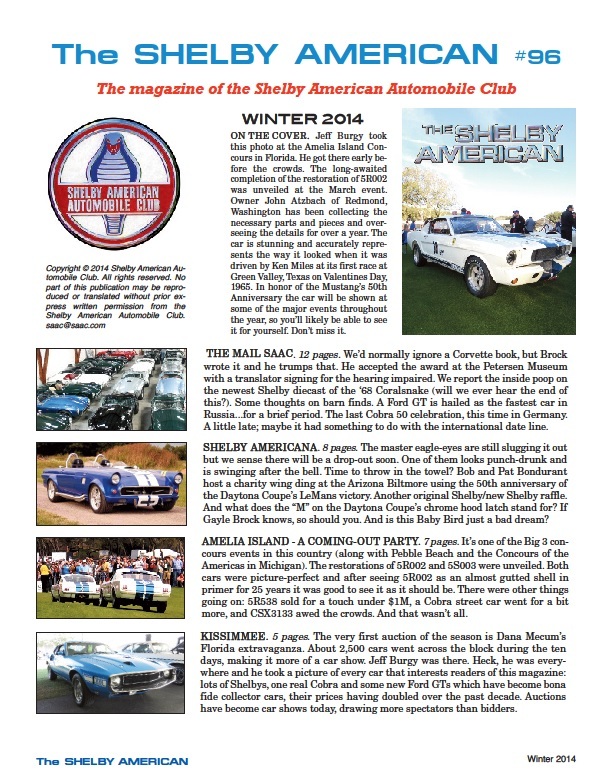 Articles are researched and written by club members, and nobody is more knowledgeable about these cars. Each issue is between seventy and ninety pages. Think about that. 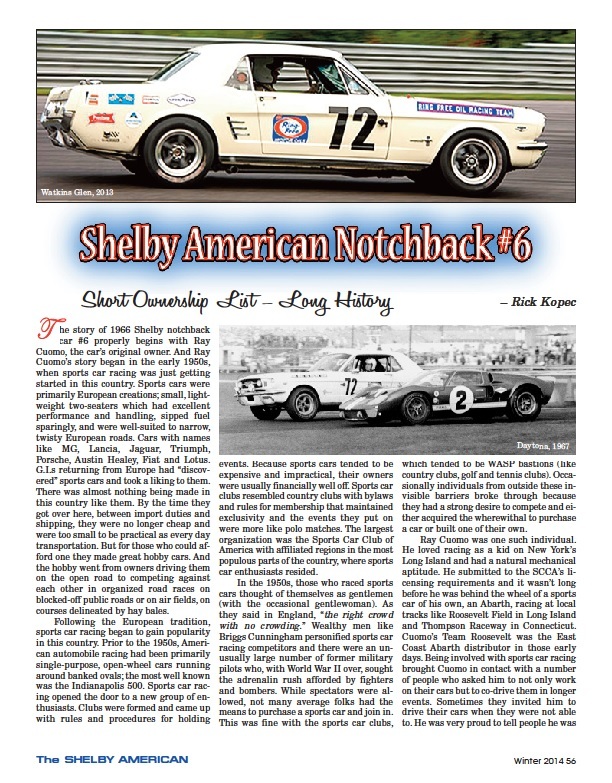 If you spend time at any large newsstand flipping through each month’s automotive magazines, you will count yourself lucky to find four articles dedicated expressly to Cobras or Shelbys. Imagine a magazine that only has articles on Shelbys and Cobras. A fantasy? Not in our world. 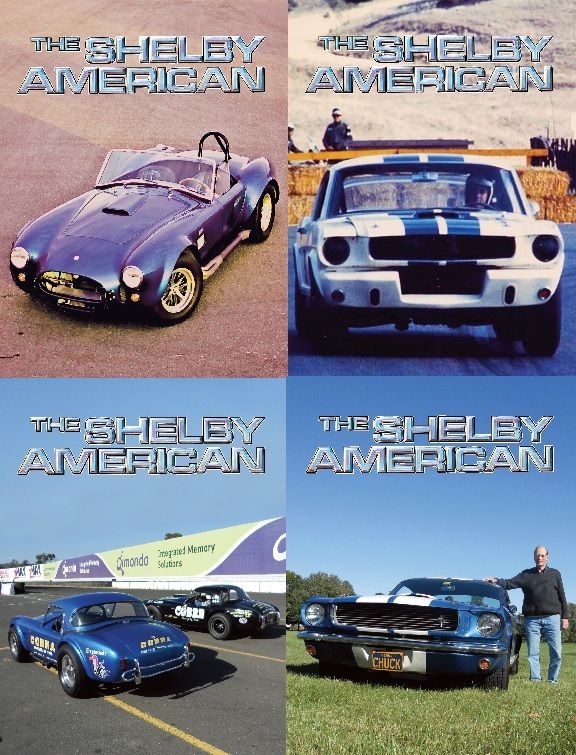 Presently, The Shelby American is published four times a year and each issue is posted online in an area on our website that is available only to active members. At the end of every year we print a full color Annual which contains all four issues. A copy is mailed to each SAAC member whose membership is current at the time of the mailing. New members joining after the Annual is mailed automatically receive that copy. 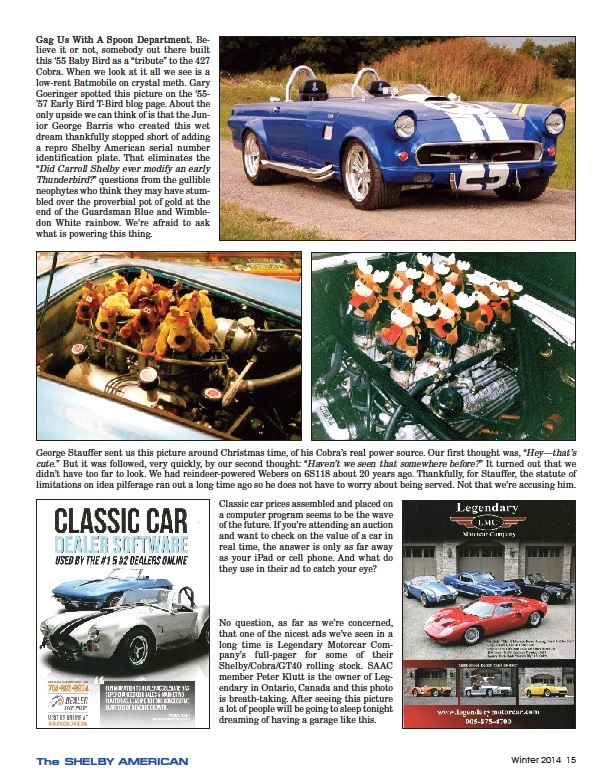 Below we’ve reproduced a few pages from one issue, to give you an idea of what to expect (Click on a page to view full screen.). 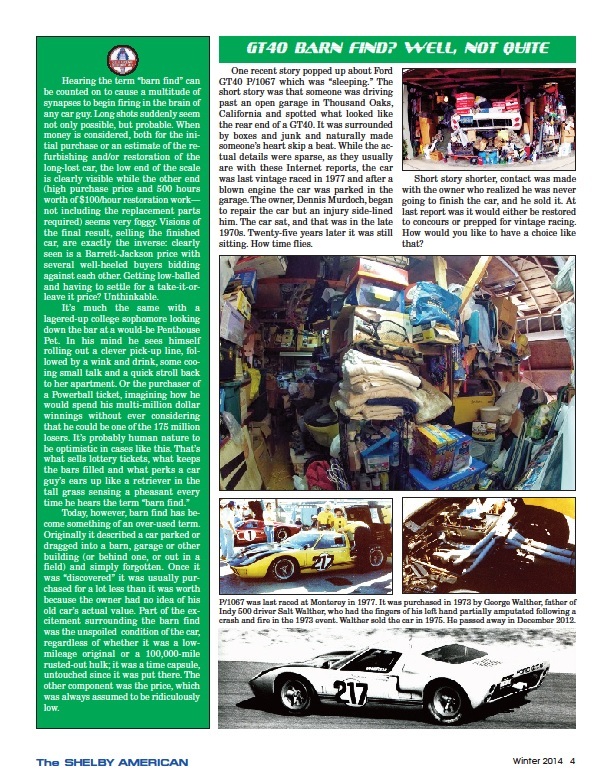 We’ve been publishing magazines since 1976, and in that time we’ve never resorted to reprinting “old” articles unless we can include new pictures. But that’s rare. It’s mostly new stuff you’ve never seen before.